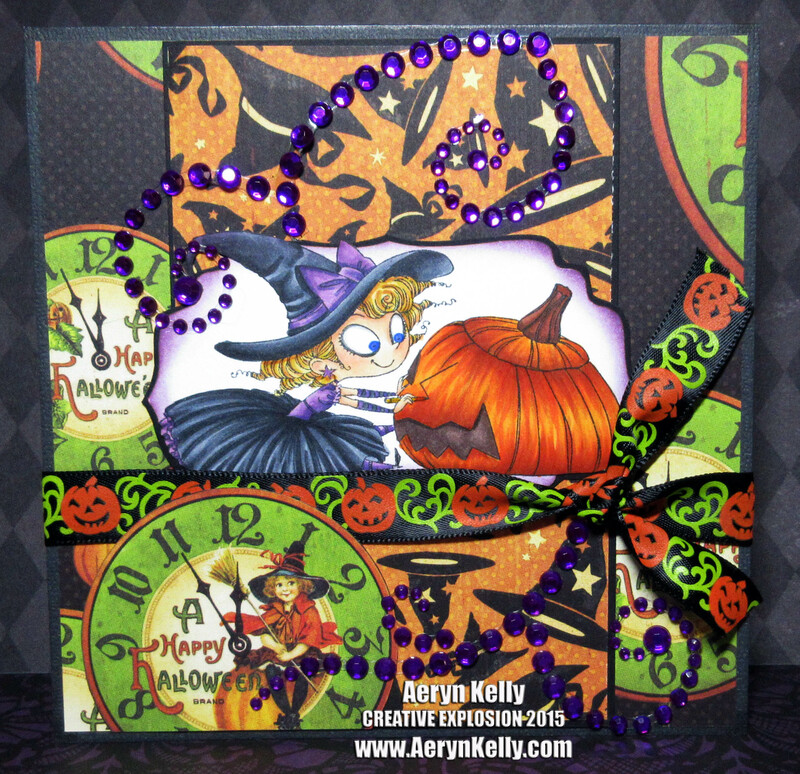 Aeryn's Creative Explosion: Card: 2015 Halloween Day 14 of 31 - Pumpkin Carving! Card: 2015 Halloween Day 14 of 31 - Pumpkin Carving! I thought it'd be nice to place this little witch carving a jack-o-lantern in a pumpkin patch. I have to admit that I did her purple colouring before I thought this, and her frame too, so I had to somehow incorporate purple into the card. That's where the gems came from. It seemed a little weird to me, maybe it still does, but it helped! Orange and green would have been better for her outfit, lol! Ah well, I had a great time doing this card and using the ribbon on it, and I'm finally dipping into that Graphic 45 stash that is kind of insane... I hope you like this one, and a new card coming up tomorrow! Spooktacular. Personally, I love the purple & black and the gems seal it. Nice work, Aeryn. Thank you so much, Sue. I'm really glad you like it!